Countless audio recordings have been spolied by hum (which is to say interference from AC mains electricity) either due to poor power-supply design, or circuit faults or simply due to induced interference via alternating electric or magnetic fields. Yet more recordings have traces of interference from AC mains electricity which, although perhaps not appreciated as hum, nonetheless "muddy" the bass of the track. 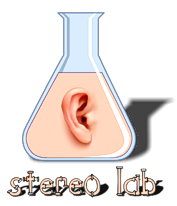 The ability therefore to remove all traces of hum is a useful restorative tool and Stereo Lab provides this functionality. The interference signal we call hum is complicated by two facts: the interfering signal is very rarely a pure signal at the mains frequency - more often it contains multiples (or harmonics) of the mains frequency; and, there exist two "species" of hum - one based on a mains frequency of 50Hz and another on a mains frequency 60Hz. The Hum Removal filter in Stereo Lab deals with both these complications in a single process in which the disturbing frequencies are filtered by high-Q, notch-filters. Crucially these are implemented as phase-linear filters (only possible in the digital domain). Inevitably, the filtering of the interfering signals due to hum (though carefully chosen to avoid musical pitches), does filter out some legitimate information along with the interference. We have therefore incorporated a variation of the Hum Removal process in which the bass energy is restored. Both these filters are selected via the main process drop-down menus.